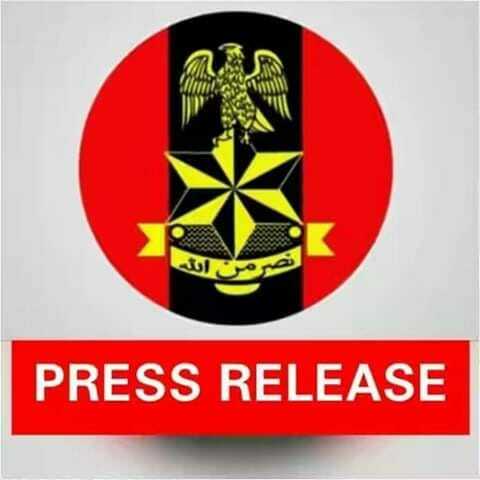 The Nigerian Army has yesterday Saturday 2nd February 2019, released the postings and appointments of some of its senior officers. Those affected by this include, Major General AA Tarfa, who has been posted from Headquarters of Nigerian Army Corps of Artillery, to Martin Luther Agwai International Leadership Peacekeeping Centre, as Commandant. Major General M Mohammed, from 1 Division Nigerian Army, to Headquarters, Nigerian Army Signals Corps and appointed Corps Commander, while Major General CT Olukoju, the erstwhile Signal Corps Commander, has been appointed Director General of the newly created Nigerian Army Simulation Centre (NASIMC) with Headquarters in Abuja. Major General US Yakubu has been posted to Headquarters of Nigerian Army Corps of Artillery and appointed Corps Commander, Major General CU Agulanna, has been posted to Nigerian Army Resource Centre (NARC), as Senior Research Fellow, while Major General F Yahaya, the Military Secretary (Army), has been posted to 1 Division Nigerian Army and appointed General Officer Commanding, Major General AR Bakare has been posted to Headquarters, Nigerian Army Finance Corps (NAFC) and appointed Chief of Army Accounts and Budget. Similarly, Brigadier General DO Donibo has been posted to Nigerian Army School of Infantry and appointed Director Army Training Support Centre (ATSC), Brigadier General GAT Ochigbano has been appointed Acting Military Secretary (Army), Brigadier General OC Ajunwa has been posted to Nigerian High Commission Brasilia and appointed Defence Adviser. Brigadier General ST Shafaru is the new Commander Engineers, at the Headquarters Nigerian Army Special Forces Command. Brigadier General BY Baffa has been posted from National Defence College to the Office of the Chief of Army Staff and appointed Chief of Staff, while Brigadier General UB Abubakar has been appointed as Deputy Military Secretary I, Brigadier General EE Emekah has been posted from Army War College Nigeria, to 707 Special Forces Brigade and appointed as Commander. Others affected by the new development include, Colonel EC Obi-Osang who was posted from Defence Headquarters to Nigerian Army Special Forces Command and appointed Chief of Staff, amongst others.